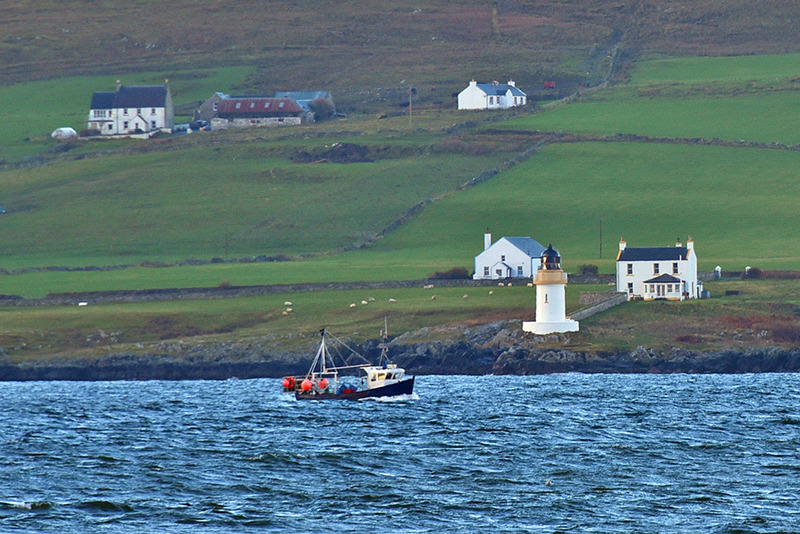 A view from Gartbreck across Loch Indaal to the lighthouse near Port Charlotte. A fishing boat is passing on its way to Bowmore. Octomore Farm in the background on the left. This entry was posted in Cloudy Weather, Landscape, Lighthouses, New Post, Sea Loch, Village and tagged Gartbreck, Islay, Loch Indaal, Octomore, Port Charlotte, Rhinns of Islay by Armin Grewe. Bookmark the permalink. Used to love living in the lighthouse house,the first night we moved in , the kids went to sleep counting the flashes.When the old clockwork timer was wound , they were allowed into the lamp room, what a nice view from there.